Summer may be over but that doesn’t mean the end of gorgeous bronzed skin. Thanks to the complete line of bBold Self Tan you can easily achieve that natural looking sun-kissed glow all year round. Specially developed to create the most natural looking brown coloured tan, bBold self tan is enriched with natural ingredients such as Vitamin E and aloe vera while its unique combination of natural red berry extract Erythlurose and premium grade DHA result in creating the most radiant and natural looking brown tone. Quick and easy to apply, bBold provides that natural looking and streak free finish. At TJ Hughes you will find bBold false tanners in a number of shades ranging from light and medium to dark – so you can easily find the right shade to complement your skin tone! 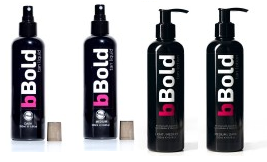 The collection of bBold range also includes self tan liquids as well as self tan lotions. Each self tan offers long lasting colour along with natural ingredients which work to tone, protect and moisturise the skin. For a flawless application, here at TJ Hughes we recommend applying bBold fake tan in circular motions, targeting small areas at a time – using a fake tan mit should keep any streaks at bay! To celebrate the launch of bBold fake tan at TJ Hughes, we will be having a special launch day at our Liverpool store. Come along to TJ Hughes Liverpool at 10:30am on Saturday 28th September to check out customer demonstrations while the bBold team will also be on hand to give advice on tanning – there will even be competitions throughout the day!